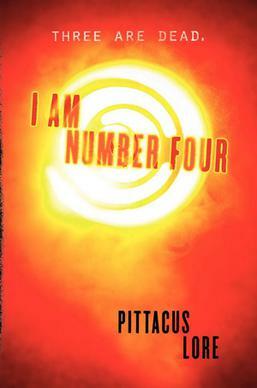 I found “I Am Number Four” in my local library after I saw the movie, so I took it. It tells the story of nine alien teenagers, the Loric, who grow up on Earth because another alien race, the Mogadorians, destroyed their home planet. Their job is to stay alive and save Earth which is next on the Mogadorian’s list. To protect them, the Loric children have numbers instead of names, and they can only be killed in order. Three have already been killed. This is the story of Number Four. The story is interesting and the characters good, but I found the style grating. It’s written in first person in the present tense, and I found it too wooden – like the characters are reading a script out loud rather than describing their experience. It was nice, but no more. 3 stars. 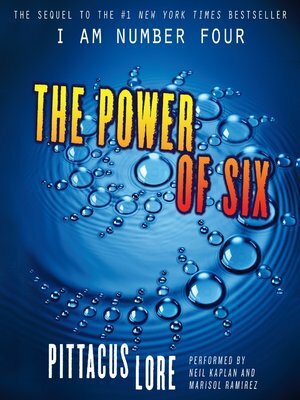 Then I found “The Rise of Six” and “The Power of Nine”. The style is still grating, but much better. The story unfolds and becomes more interesting and more convoluted. Definitely bumped up to 4 stars. I assumed it was a trilogy for some reason, so I was really surprised when “The Rise of Nine” didn’t finish the story. So I went to Wikipedia and found that it’s a series of seven books (a septology? Good enough for me 😉 ). Now I have had very bad experiences with septologies – at some point the author gets to the point where you can actually hear him go “Wait, how did I plan to finish this?” and the rest goes down the drain 😦 (Yes, I’m looking at you, Stephen King’s Dark Tower series). So I was very disappointed. 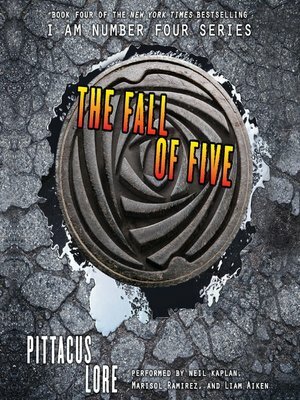 In the meantime I found in my Library the fourth and fifth books, “The Fall of Five” and “The Revenge of Seven”, so I read them. Still on the 4 star mark. And then I found (again on Wikipedia, and its references) that the books are written by Full Fathom Five, a company meant to churn out young adult science fiction novels, established by James Frey. That in itself is not a problem, Nancy Drew was built the same way. But Full Fathom Five takes students (probably explains the grating style…), pays them $250 per book (seriously? that doesn’t even cover a month’s rent!) and makes them sign a contract stating that they will never mention their names in connection to the books they write. You want ghostwriters who will never mention their name? Get professional ghostwriters and pay them properly. You want cheap labor? Get students and allow them to get experience and fame, and pay them enough to cover their rent. But this? So, I haven’t linked these books to the book depository as I usually do, and I have no intention of buying them. Ever. I realize it’s a drop in the ocean, they’re already on the bestseller list… but they will never be on my shelves. TL;DR: Good 4 star YA science fiction novels. Read them at your library.